It is an unfortunate truth that each year in Encinitas, a large number of accidents occur that forever change the lives of the people involved. If you are impacted by one of these accidents, you should not hesitate to speak with a skilled personal injury attorney. You are likely experiencing significant pain and suffering, mounting medical bills, and lost wages as a result of your time off work to recover. You need compensation to cover those damages and more. An Encinitas personal injury attorney can help ensure that you receive the compensation to which you are entitled. Brian injuries are almost always serious. They can take the form of a concussion or a traumatic brain injury, and they often lead to large medical bills and years of rehabilitation. If your life has been forever changed by a brain injury that was caused by someone else’s negligence, reach out to a personal injury lawyer today for assistance. While there are some important safety precautions that bicyclists can follow to decrease the risk of being involved in an accident, it is impossible to entirely avoid the risk of being injured while biking. If you have been injured in a bicycle accident, a personal injury lawyer can help you obtain compensation from the party responsible for your injuries. The top three causes of car accidents in Encinitas are driving while intoxicated, driving while distracted, and failure to yield. Car accident victims often incur serious injuries that result in steep medical bills, lost wages, and pain and suffering. A personal injury lawyer in Encinitas can help you recover compensation if you have been injured in a car crash. While many dogs are friendly, some are vicious. If you have been the victim of a dog bite or attack, you can be left with emotional trauma as well as disfiguring scars and other serious complications. An attorney can help you hold the dog owner accountable for your injuries. Elder abuse refers to when somebody, usually a caregiver, takes advantage of an elderly individual. This can include emotional, sexual, or physical abuse. Elder abuse can be difficult to spot because elderly patients frequently do not feel comfortable disclosing the abuse to their loved ones. If your elderly loved one has been a victim, reach out to a personal injury lawyer today for help. Electric scooters are fun to ride, but when accidents involving these vehicles occur, the results can be particularly serious. Many scooter riders fail to wear the proper safety equipment, which can lead to even more catastrophic injuries. If you have been involved in an e-scooter accident, an Encinitas personal injury lawyer can help you fight for the compensation you deserve. Motorcycles are dangerous to ride, even if you are wearing a helmet. Many accidents occur because motorcyclists end up in the blindspot of other drivers. If you have been injured in a motorcycle accident, you have the right to sue the at-fault driver for your injuries. A personal injury lawyer can help. While a many people commute via foot to numerous locations in Encinitas, pedestrian accidents happen all time. Many of these accidents occur because other drivers on the road do not adequately spot pedestrians, and the resulting injuries can be devastating. If you or a loved has been involved in a pedestrian accident, reach out to a personal injury lawyer hor help obtaining the compensation to which you are entitled. No matter the size or cost of a product, consumers expect it to be safe to use. Each year, however, many consumers are injured by products that malfunction. When this happens, those injured can sue the products manufacturer, distributor, or even retailer for damages. Slip and fall accidents tend to occur as a result of inadequate lighting, uneven or slippery floor surfaces, loose handrails, and a number of other factors. When these accidents occur, the victims can be seriously injured. An Encinitas premises liability lawyer can help you obtain compensation for your injuries after a slip and fall on someone else’s property. Spinal cord injuries take many forms including whiplash, which happens when a person’s spine jerks back and forth suddenly during an accident. It is critical for spinal injury victims to quickly obtain the assistance of a skilled attorney who can help them obtain compensation for medical bills, los wages, future rehabilitation, future lost wages, pain and suffering, and loss of enjoyment of life. Because they are particularly large and heavy, trucks are regulated heavily at the federal and state levels. Regardless of the rules in place, many truck accidents occur because of truck drivers’ negligence, or the negligence of the trucking companies. A personal injury lawyer in Encinitas can help you hold the at-fault parties responsible for your injuries. The popularity of rideshare companies has increased substantially over the last few years, as has the rate of rideshare accidents. When rideshare companies fail to comply with safety regulations, serious accidents can result. This can include failing to adequately screen rideshare drivers or the vehicles that are used. If you have been injured in an Uber or Lyft accident in Encinitas, a personal injury attorney can help make sure you receive the compensation you deserve. Wrongful death accidents can occur in a number of ways. Our attorneys understand just how devastating these events can be and that surviving family members often encounter huge financial strains as a result. A wrongful death attorney in Encinitas can help you recover the compensation you require after the death of a loved one. 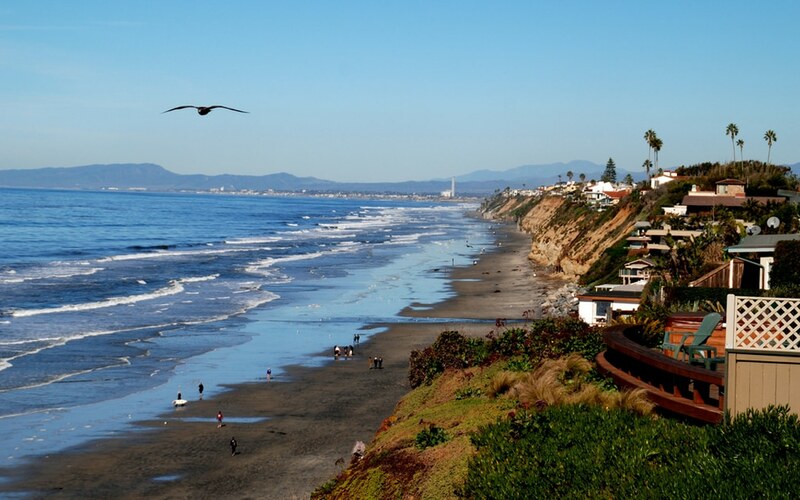 When accidents occur in Encinitas, victims can find their lives forever changed. The assistance of a skilled personal injury attorney can make a world of difference to you and your loved ones during this difficult time. Contact our law office today to schedule your initial free case evaluation.